Born Michelangelo di Lodovico Buonarroti Simoni, Michelangelo was born into a reasonably wealthy banking family. He is arguably the most famous of the Italian Renaissance artists and some of his works draw hundreds of visitors each day, even now 500 years later. 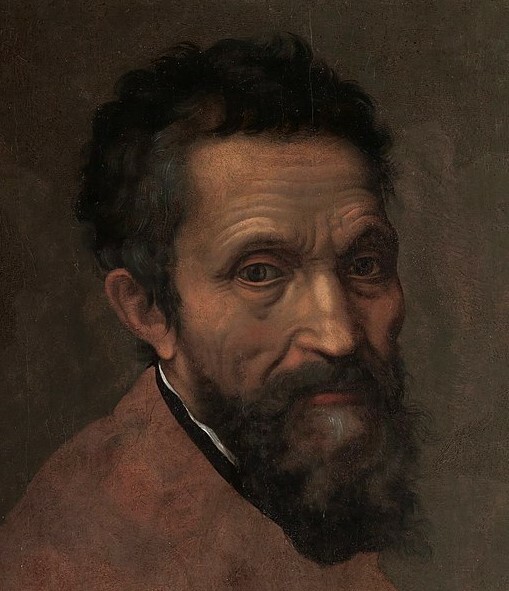 Michelangelo was born in 1475 and lived for almost 89 years, dying in 1564 just a few weeks from his birthday. 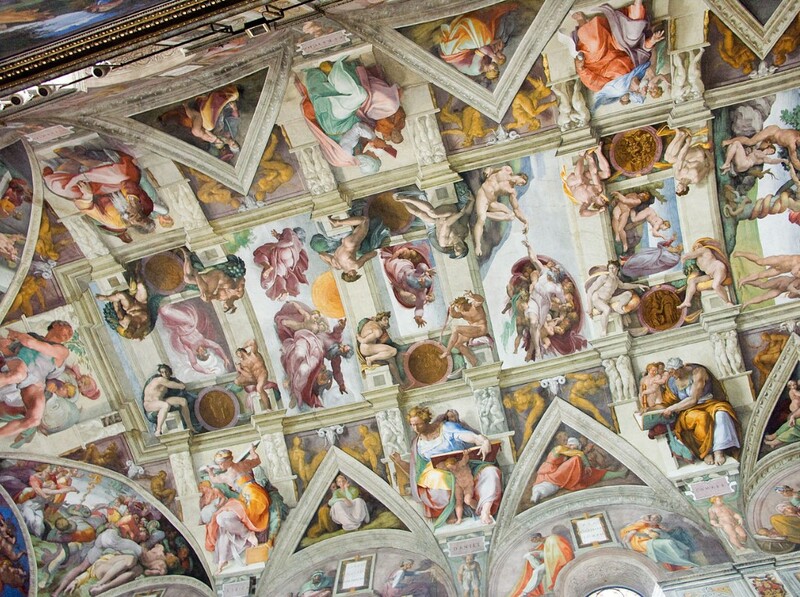 During his lifetime he co and completed in completed perhaps his most famous work, the ceiling of the Sistine Chapel which was started in 1508 and completed in 1512. Michelangelo was not only a successful and accomplished painter, he was also a sculptor and an architect. The ‘Pieta’, a depiction of Mary holding Jesus’s body after he has been removed from the cross is now housed at St Peters Basilica in Rome. Made from Carrera marble, this work of art was considered rare as at the time multi-figured sculptures were uncommon. 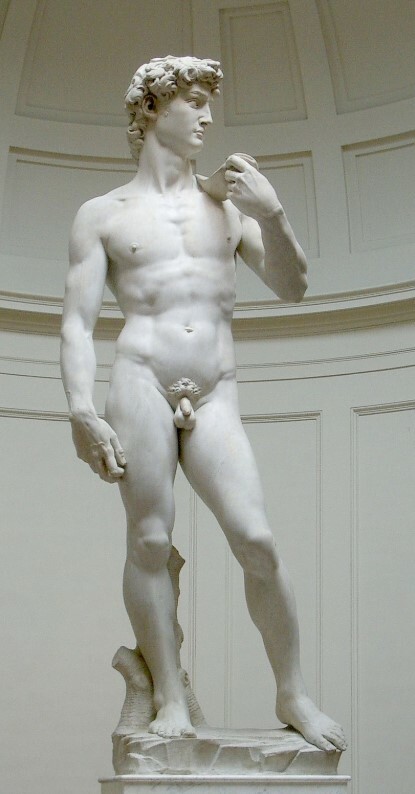 Michelangelo’s ‘David’, now housed in the Accademia Museum in Florence, stands 13’5” and is thought to be double the height of the real David. It is one of the most iconic pieces of sculpture ever created and is made completely from marble. The detail alone shows what a talent Michelangelo had considering his young age while working on this piece. Work began in 1501 and was completed in 1504 making Michelangelo just 29 when he finished. Two other sculptors started the project but could not complete the task, if Michelangelo had no stepped in to complete it, the art world would have a whole different history. Michelangelo is also one artist to have the distinction of being well known during his lifetime, many artists do not manage to achieve fame or fortune while living, and only see appreciate of their work after death. Previous Previous post: What is the Renaissance? Next Next post: How Did Impressionism Begin?